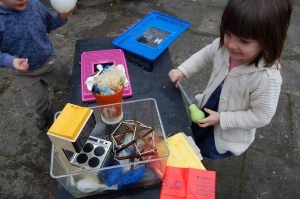 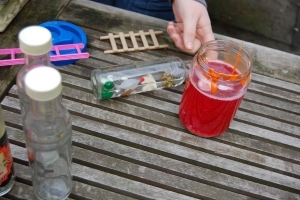 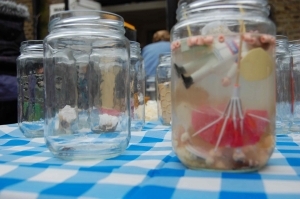 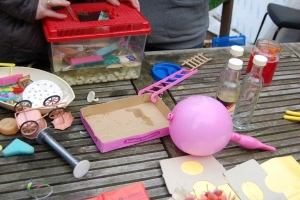 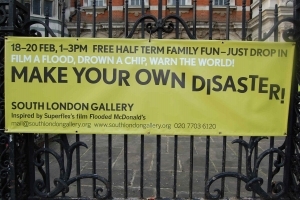 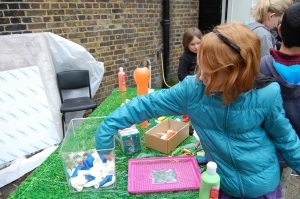 Make your own disaster was a family fun session for half term at the South London Gallery. 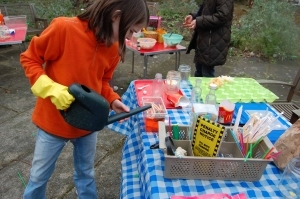 The idea was to curate a play area for the children to make films inspired by the film 'Flooded McDonalds' by Superflex collective. 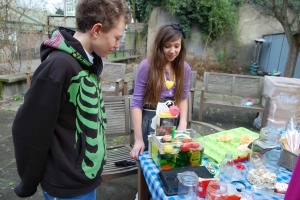 Flooded McDonald's is a film work by Superflex in which a convincing life-size replica of the interior of a McDonald's burger bar, without any customers or staff present, gradually floods with water. 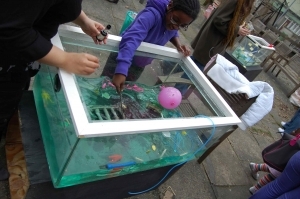 Furniture is lifted up by the water, trays of food and drinks start to float around, electrics short circuit and eventually the space becomes completely submerged. 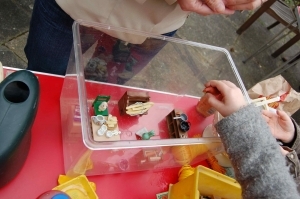 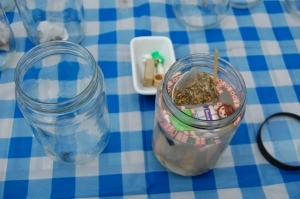 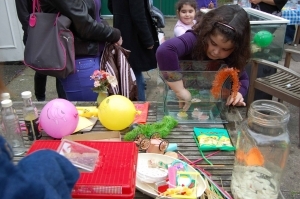 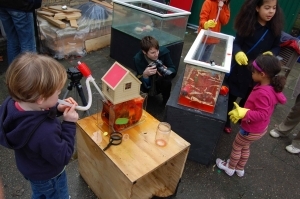 The participants had time to create their own little stories with a variety of objects and toys inside fish tanks and containers and with the support of the creative education team they filmed the containers flooding. 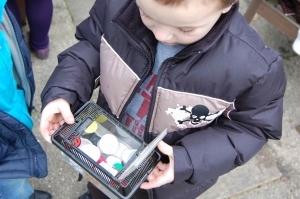 They had a chance to see their film projected in the education space and improvise a story for their film playing with microphones and live sound. 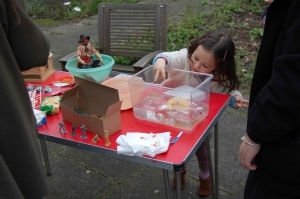 This was a very immersive experience of play and improvisation an exploration of the impact of climate change, the impact of big fast food chains, and themes such as obesity, waste, control.